Barcode maker software generates industry standard barcode labels that are used for both commercial and personal usage. Generated barcode labels fulfills various industry needs including Postal services, Shipping and Transportation, Ticketing, Pharmaceuticals, Libraries, Price marking, Retail industry, Labeling product details etc. Professional and advance version of Barcode Label Maker empowers user to create high resolution, easily printable barcode labels using more efficient tools. 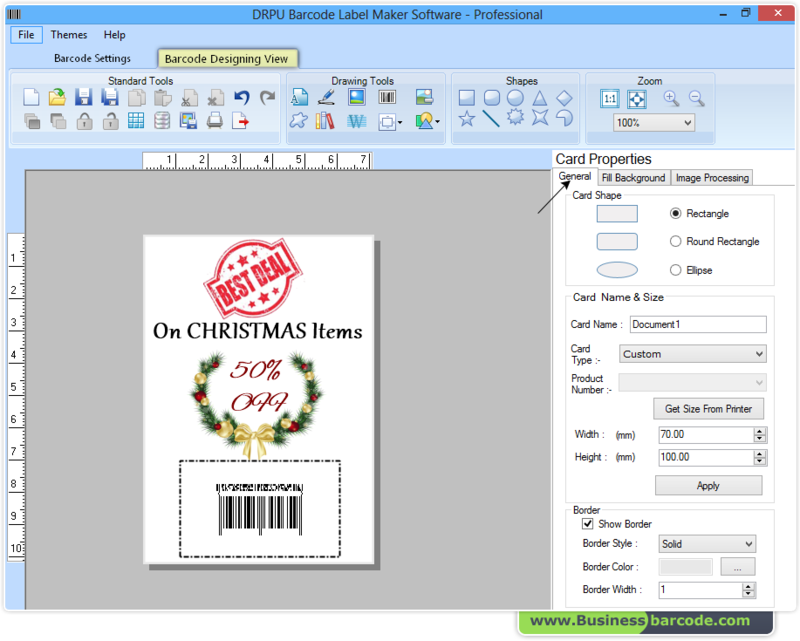 Additional Designing View feature with barcode labeling offers different designing objects (like pencils, pictures, lines, ellipse etc) that are added with the barcode image to generate customized and eye-catching barcode labels. Barcode generator software supports wide range of Linear and 2D barcode fonts for creating high quality barcode images (in form of stickers and tags). Supports Linear and 2D barcode font symbologies (2D barcode font covers more information in less space). Barcode printer software prints multiple barcode labels or multi-copies of same barcode in a single page. Save barcode images in JPEG, TIFF, Bitmap, PNG, WMF, EMF, EXIF and GIF file formats. Generate different series barcode list like Sequential series, Random series and Constant Value series. Generated barcode labels are easily scanned and printable by general printers. Interactive GUI helps in easy working with the software.